priya Mar 15 2017 11:57 am hai do you think everybody likes you .Maybe but i likes your beautiful country.If i have any i will come. 11n Jun 07 2014 12:07 pm omg.... i love his acting in "u who came from the stars" he really cute in that drama!!! xD gaahhh~~ he really young , 1995 :O hwaiting !! keep on appearing in sweeet drama yeahhh xD kyeoookyeoo !! DC Apr 12 2014 4:38 pm I know him from the tvN drama "Who Are You," he was only a guest star in the first two episodes, but he made a big impression. Hope he gets a big role soon! 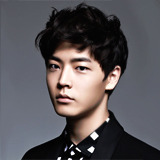 inixaw Mar 28 2014 9:22 am wasnt he the guy who played the young Choi Youngdo of The Heirs?